Professional cleaning services by Best London Cleaners. Our cleaners are trained professionals able to help you with your domestic and commercial cleaning tasks. Cleaning services stem into numerous tasks, thus you can have – after builders, one-off, deep and other cleaning. Furthermore every one of these services is tailored to the particular needs of a given property. We don’t rule out the possibility that additional alternations may need to be done in order to work out a service that caters exclusively to your home’s peculiarities. What other advantages has a service that’s delivered by professionals other than time-efficient results? By booking our service you save time and effort that you can put in something you really enjoy. In addition everything we offer is wrought as to appeal to even the most price-sensitive customer. Speaking of the merits of our staff, we should begin by saying they are all very ambitious individuals. Not all of them had had previous experience in the cleaning business when they were recruited. Nevertheless, their drive to become fully-fledged experts and the company’s environment that fosters mutual aid combined with long training periods and longer still field work, has shaped them in the unmatched experts that they are today. We consider every one of our employees an asset to our company and the combined sum of their merits – the reason why our start-up should enjoy such popularity. 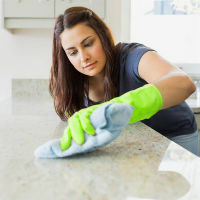 By booking our house cleaning services, you don’t hire impersonal gaggle of people who will stay listless and toiling over your home without uttering a word, but rather a hearty people who will answer readily to any of your enquiries and advise you on what’s best for your property. The services vary. Let’s stop to look at some of them briefly. After builders cleaning is designed to deal with the slew of concrete litter left in the wake of uncouth builders. Heavy concrete chunks, splinters of wood and dust firmly entrenched in every nook and cranny of your home. It is all dealt with in a prompt manner that leaves no trace of the apparition of utter disaster that has haunted you ever since you were stood before it. Your property is meticulously cleaned with all its bathroom fixtures, skirting boards, window sills and windows. We provide also end of tenancy cleaning in London. Next is upholstery cleaning – a strongly recommended service, because the chances that you ruin your upholstery are quite high. That is to say you need extensive knowledge on different types of fibers and chemical agents. Otherwise you risk spoiling your favourite settee.